When I was a kid back in the late 60’s we saw TV in black and white. Color TV existed of course but our house didn’t make that transition until 1970 or so. I remember the day we got our first color TV set. It was an RCA with a really bitchin’, smooth turning channel knob. It also had three buttons on it. I don’t know what they were for because my sister and I were not allowed to touch them. We were now living large. We had all three networks in full color. No, make that four. There was also PBS. So four, read it, four channels in full color. Yeah, that’s right. By turning the channel knob we could watch any network we wanted to, anytime we wanted to and in color. That is until the TV gods decided to quit broadcasting for the day. Late at night, every night, the Star Spangled Banner would play and images of the flag, majestic purple mountains and amber waves of grain were shown on the screen. 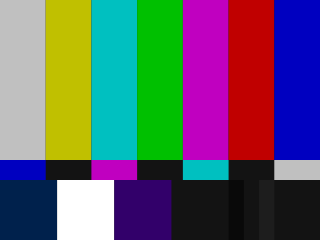 Suddenly an ear-splitting tone would shoot out of the TV at the same time the dreaded “test card of death” appeared. When you saw this it meant you would not be seeing anything on TV until the next morning. At all. On any channel. This was my favorite show back then. “The Midnight Special” aired from 1972 to 1981. I think. I do remember it coming on every Friday night. It was a show featuring the biggest music acts of the time. They played live right on TV and perhaps because of what era this was it was never, ever boring. I want you to see two of the most memorable performances I saw on this show. I was bored last night and had nothing better to do than look this up. I remember seeing this for the first time back in the 70’s. I think it has everything to do with the fact that to this day and at my age I still love loud, snotty guitar rock. LOS ANGELES, Calif. — A Hazmat team was called to the “Dancing with the Stars'” offices on Friday evening after reps for the show received a package containing an unknown white powder substance, Access Hollywood has learned. A white, powdered substance sent to an ABC production office? LAPD, Hazmat, You should move fast. Most, if not all of that substance may be gone by the time you get there. Are you sick and tired of the same old gym experience? Tired of getting hit on by sweaty, over-muscled douche bags? Have the exorbitant monthly dues and the anti-food movement caused you to subsist on rice cakes and bean curd? Well, suffer no more. With the The Bill Haley Workout you can have all the moon pies and RC cola you want. For a meager nightly cover charge you can work all those moon pies into negative calories. To hell with celery. And just think, with the calories burned and the money saved, there’s plenty of wiggle room for a few beers, a burger and a shake afterward. Everyone’s talking about it. I get winded just watching this. Gotta love the pentatonic scale too. Can anyone tell me what movie this is? I’m not quizzing anyone. I’m just asking because I do not know. I hope at least one person sees this. It took me about 20 bleary-eyed hours to create the 43 seconds of goofy crap shown in the link below.